Officers from Israel Police’s National Fraud Unit raided on Thursday the home and office of Chief Rabbi Yona Metzger, who is suspected of accepting bribes, fraud and money laundering. Thursday’s raid was the culmination of months-long undercover investigation. In the course of the investigation, Rabbi Metzger was brought Thursday morning for a police interrogation under warning. Metzger was released to five days house arrest after being interrogated under warning for some 10 hours. He reportedly cooperated with his interrogators and answered all of their questions. The rabbi is banned from leaving the country or contacting three other suspects who were arrested as part of the investigation. The investigation revealed that Metzger is suspected of pocketing hundreds of thousands of shekels he had raised for different NGOs. It is suspected that the money had made its way from the donors into the pockets of Metzger and his associates. Metzger’s attorneys, Professor David Libai and Elad Rot, said that the chief rabbi has denied all the allegations against him. The Rishon Letzion Magistrate’s Court remanded an additional three suspects in the affair. Chaim Eisenshtat, the rabbi’s driver and personal assistant, who is suspected of accepting bribes, was remanded by seven days. Simcha Krakowsky, the director of a charitable organization, who is suspected of bribery, was remanded by five days. Nissan Ben-Zion Zioni, a director of another non-profit organization, who is also suspected of bribery, was remanded by six days. The investigation culminated on Thursday when detectives raided Metzger’s office and home. They confiscated several documents, seized computers and other property, a lien was filed on the rabbi’s and his associates’ banking accounts, and three more suspects were arrested. Following information about Rabbi Metzger allegedly involved in acts associated with illicit money transfers together with several employees of his office, and after consulting with judicial officials, it was decided to launch an undercover investigation of the rabbi. Attorney General Yehuda Weinstein and State Prosecutor Moshe Lador approved the arrest of the rabbi Thursday. Immediately following the searches, Metzger was brought to questioning at the Police’s National Fraud Unit, where he was interrogated in regards to accepting bribes, fraud and money laundering. 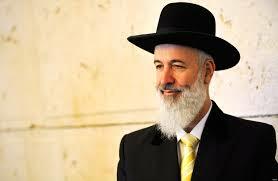 Rabbi Metzger’s investigation is still at hand and it has yet to be decided whether to remand him. The police will request of the Rishon Letzion Magistrate’s Court to remand the additional suspects arrested Thursday. In 2005 Metzger was interrogated for a few hours by the National Fraud Unit on suspicion of accepting perks equivalent to tens of thousands of shekels from the David Citadel Hotel in Jerusalem, where he stayed with his family for the high holidays. Police began investigating Metzger due to suspicions that he and his family paid only a nominal fee for their vacation at the hotel in Jerusalem over Pesach 2004. But during the investigation, police discovered that the Metzgers also received huge discounts at David Citadel that same year during the Sukkot and Shavuot holidays, and enjoyed similarly discounted stays at other hotels. At the time, According to the report, he had allegedly taken two rooms for his family and was only asked to pay for meals. At the time, the State was funding an apartment for the chief Ashkenazi rabbi in Jerusalem’s Rehavia neighborhood. Following the investigation, police recommended that Metzger be tried for fraud and breach of trust. In light of the police recommendation, the chief rabbi suspended himself from the bench of the High Rabbinic Court and from his membership in the committee for the appointment of rabbinic judges. A year later, then-Attorney General Menachem Mazuz announced that Metzger would not be indicted, but criticized the chief rabbi’s conduct and said he had lied to police investigators. In December 2012 an indictment was filed against former Chief Sephardi Rabbi Eliahu Bakshi-Doron for complicity in granting about 1,000 fictitious rabbinical ordination certificates to members of the security services so that they could receive significantly higher wages.